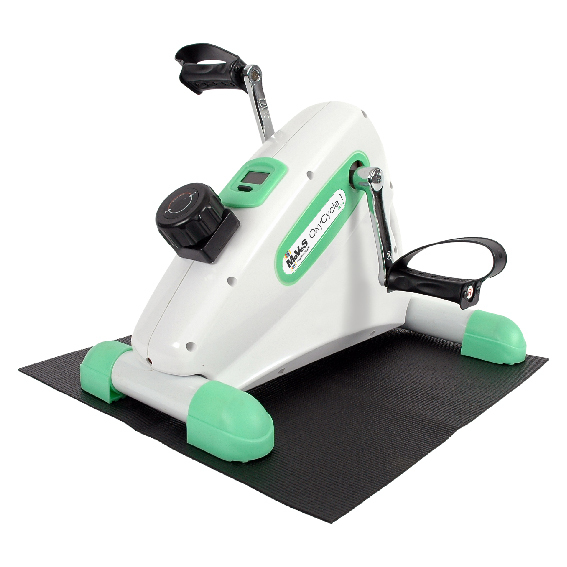 The MoVeS OxyCycle 1 Active Pedal Exerciser is used for upper and lower body exercises. The adjustable resistance makes it a great product to progressively strengthen your arms and legs. The MoVeS OxyCycle 1 Pedal Exerciser has a light-weight compact design, adjustable resistance and a multi-function LCD display readout scan, time, distance, calories and RPM. A non-skid mat and interchangeable handgrip pedals are included. The regular strap pedals are now adjustable with hook-and-loop fasteners (genericized trademark velcro).